In my reiki healing work, I find that most of my clients have an imbalance in their masculine and feminine energies. Contrary to popular belief, males don’t just possess masculinity and the feminine quality doesn’t just exist in females. At the core of our being, we are actually souls … having a physical experience. Each has both masculine and feminine aspects and neither is more important than the other. From my contact with Archangel Michael, I discovered a lot of cases whereby the masculine aspect is stronger than the feminine. That applies to both genders. Too much masculine energy results in people overemphasizing on trying to control situations or forcing their way through in life. They are also quick to offer advice or criticize but bad at listening or receiving guidance. Being too masculine cause them to be too logical and less intuitive. Sometimes , to obtain the best solution to our problems in life, it is better to be more feminine or feel with our heart. E.g. What does our heart say? How do we feel about certain matters? Sadly, many people choose to ignore or suppress their feelings and prefer to think their way through. It has been said, our brain is just a processor of information and it doesn’t have all the answers. Therefore, by letting go of the need of doing something or overanalyzing, we can ‘be’ in the present. 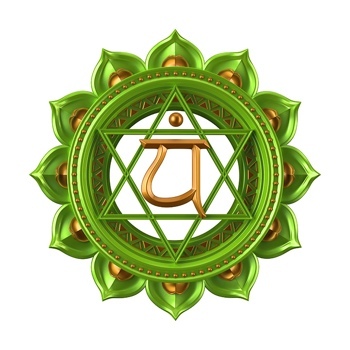 In the state of being and allowing (which is the feminine aspect), we become more receptive to our intuitive thoughts. When I asked Archangel Michael to scan Donald Trump, I was informed that his solar plexus chakra and his throat chakra were overactive. This is a sign of too much masculine energy. The solar plexus chakra is our energy vortice that represents self-worth, confidence and personal power whereas the throat chakra represents self-expression. Unsurprisingly, Mr. Trump appears to think too highly of himself and speaks very boldly. I suppose that is why many people voted for him to be the President of USA because he appears to be super confident and a ‘doer’ (a man of action). Whether or not he lives up to the expectation remains to be seen. But by being too masculine, he has also frightened a lot of people around the world. The feminine aspect of compassion that seems to be lacking in him has made certain people feel that they will be marginalized under his rule. And this brings me back to my point that many people tend to have a skewed ratio of masculine/feminine energies. Over the years, we have seen many books/teachings appear about the power of ‘living in the now’ and the meaning of ‘Oneness’. Perhaps, instead of just thinking or trying to do something, we might attempt to look within and see if there is an imbalance within ourselves. When we are balanced within, i.e. confident yet compassionate, we start to allow and go with the flow of life. Our resentment of worldwide problems start to dissolve and our stress level goes down. No longer do we fret over the future or lament what has transpired, as our energy is not scattered in multiple directions. Instead, ALL focus is in being in the present moment. It is then we realize, all the happiness and peace that we seek, is actually found within our balanced state of being. “Competition should not be about winning at all cost to the extent of degenerating others who lost.